1. 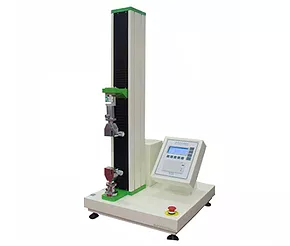 Introduction: These series of machine is used to test tension, compression, shearing force, adhesion, peeling force, tear strength, semi-product and finished product in the field of rubber, plastic, metal, nylon, fabric, paper, aviation, packing, architecture, petrochemistry, electric appliance, automobile,...etc. , which are the basic facilities for input quality control (I.Q.C), Quality Control (Q.C. ), Physical Inspection, Mechanics Research and Material Development. 2.Characteristic: English language interface, users can easy to operate, through RS232 interface communication with a PC, matching on the special professional deluxe edition test and control software, can display force - displacement, force - time, displacement - time, stress-strain curve, with automatic calculate max force, yield force, average power, maximum deformation, yield point, elastic modulus. 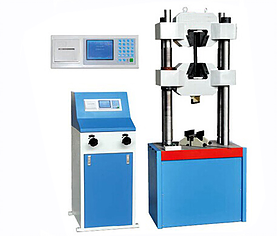 This machine is applicable to test tensile stress, compressive stress, shearing force, peeling force, and elongation of materials, components, and finished product for metal, plastic, rubber, textile, synthetic chemicals, wire and cable, leather and so on.. 1. Use Taiwan TECO servo motor which ensures high efficiency, steady transmission and low noise. The accuracy of speed can be controlled in 2%. 2. The structure is made of the paint-coated aluminum blanking plate. The interior is used the high-accuracy, low-resistance and zero clearance of ball screw and oriented pole which improve loading efficiency and structure rigidity. 3. Using the brand computer as the main control machine, the special testing software can conduct all of testing parameter, work state, collecting data and analysis, result display and printing output. 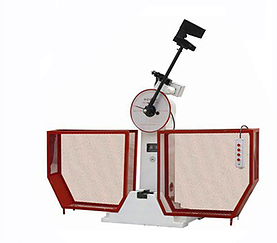 It is suitable for doing testing experiments such as the tensile, compression, bending and shear testing for all kinds of metal materials and nonmetal materials such as plastic,concrete, cement and so on. ISO75001, ASTM A370, ASTM E4, ASTM E8 and BSEN Standards. 3.1 Specially designed extra-thick jaws block,sample clamp more reliable. 3.2 Wear-resistant lining,protect jaws block. 3.3 Fast operation testing system,multi specimen information imput. 3.4 Consistant resolution,make sure data accuracy. 3.5 Testing data real time display. 3.6 Testing data auto analysis,save and print. 3.8 History record check function. 3.9 Software reserved data interface. 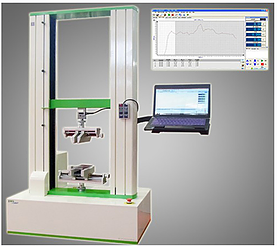 This Test Instrument is used to determine the impact toughness of metal materials under dynamic load. The pendulum of the machine can be raised or released automatically. It is designed according to national standard GB/T3808 “Charpy Impact Test Method for Metals” It is also accordance with international standard ISO148, EN10045 and ASTM E23. It has the features of easy operation, high efficiency, safe and reliable. The machine is especially suitable for laboratory, metallurgy industry, machinery production, steel plant and other fields. 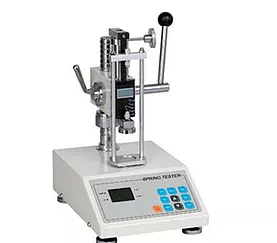 Digital Spring Testing Machine is a special instrument widely used in different industries to test of tension and compression of springs for load v/s deflection characteristics. 10. Bulit-in printer can print 99 groups test data sotrage and maximum, minimum and average value. 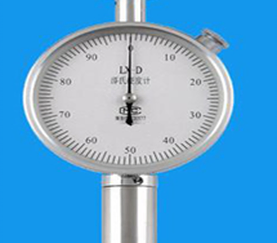 The portable tension gauge has advantages of high precision, easy operation and carry. 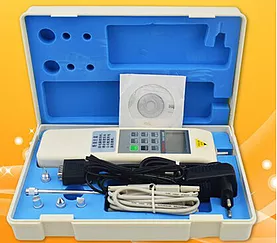 What's more, it has kinds of testing modes, convenience for conner and it can store and input data to computer for statistical analysis as well as constitutes testers with different functions, combinating with test-beds and clamp. Users can input local acceleration of gravity value to make test more precise. 5. Function of peak value maintaining. 7.Max and min and comparison value can be set for statistic analysis. 11. High quality chargeable power supply. 12. 6 digits large screen display. 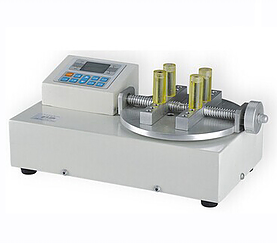 Torque Tester is designed to measure the open force and lock force of bottle caps, suction and flexible tube packages. Great stability and precision of Torque Tester makes it a necessity for manufacturing process. 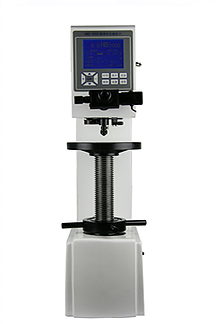 The Brinell hardness tester is most commonly used to test materials that have a structure that is too coarse or that have a surface that is too rough to be tested using another test method, e.g., castings and forgings. 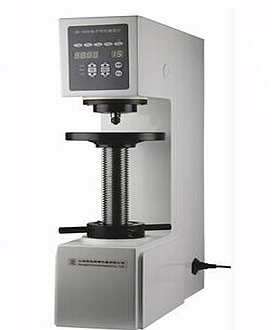 Digital Brinell hardness tester is computerized, has high rate of optical measurement and photoelectric sensors system. The operating process and the results are indicated on large LCD screen, the test results can be printed out. 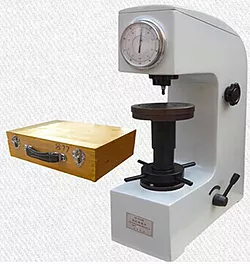 This tester is a popular type Rockwell hardness testing machine, with its novel appearance and eased operate, can be applied in the workshop of factories and measurement department, for determining the Rockwell hardness of ferrous and non-ferrous metals. Models: Shore A: Applicable to general rubber, synthetic rubber, vulcanized rubber, soft rubber, leather, wax, etc. Shore D: Applicable to hard rubber, hard resin, acrylic, glass, cushiony plastic cement, printing plates, fiber, etc. The hardness of rubber and plastic is most commonly measured by the shore Durometer which using either the Shore A or Shore D. Shore A is used for softer rubbers, while the Shore D scale is used for harder ones. The hardness gauge conforms to the regulations of GB/T531, ISO7619 and ISO 868. Webster Hardness Tester is a portable instrument which can perform on-site hardness testing on soft materials. By a quick and easy test, the hardness value can be read out directly with a simple clamp, in accordance with American Standard ASTM B647. A test can be completed by one press. Very fast, simple and portable, small indentation. Suitable for testing the hardness of aluminium profiles, tubings, sheets and other shapes. 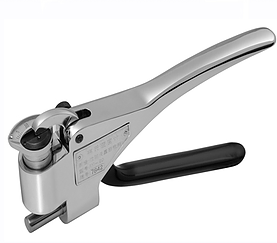 Used for testing the with long or heavy work pieces or assemblies inconvenient to be sent to the labs. The Webster hardness value can be converted into the common-used Vickers, Rockwell and Brinell hardness value. Different models available for testing aluminum alloys, brass, copper alloy and copper.